I spent this afternoon celebrating Record Store Day 2017 the only way I know how…live music in a record store. I made my way to Positively Records in Levittown, PA to see a set from my current favorite Philly area band, Soraia. The standing room only crowd was treated to a high energy set from powerhouse front-woman ZouZou Mansour and her band of merry minstrels: Travis Smith (bass), Mike Reisman (guitar), Brianna Sig (drums) and Jack Faracchio (Keys). 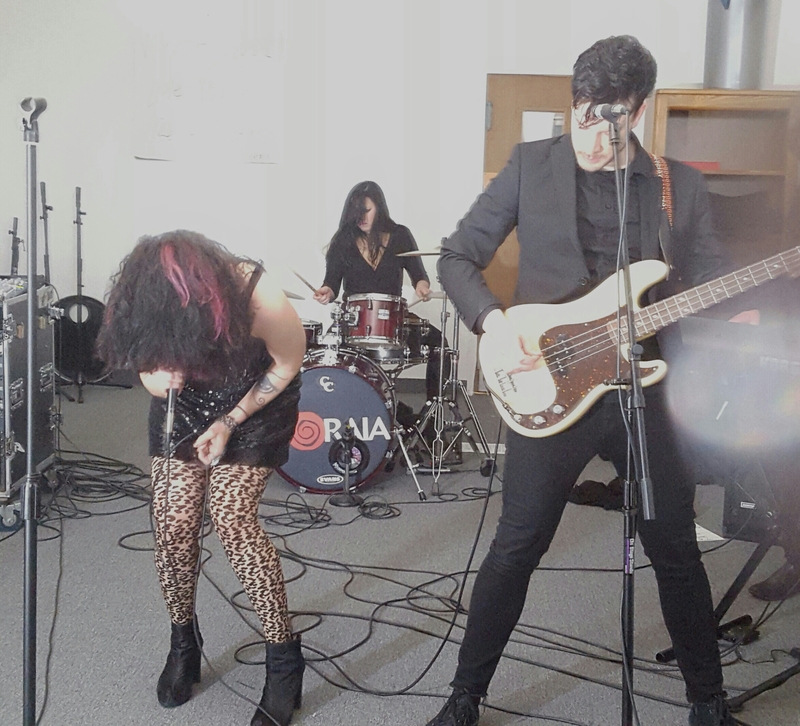 The set was jam-packed with old favorites like “Love Like Voodoo” and Kinks cover “(I’m Not) Like Everybody Else” from their last record Soraia Lives, and plenty of new tunes from their forthcoming album produced by Little Steven Van Zandt for Wicked Cool Records. This band is fresh off a tour with label-mates The Kurt Baker Combo and they are loud and tight. Go and see them if they come to your town! Look for the new record coming your way this Fall. ZouZou took time to tell the crowd how important it is to support all the surviving independent record stores out there. Remember these are the places we music lovers go to find things to obsess about…old and new. So, if you haven’t yet, pick yourself up and go to your local record store, catch an in-store performance, and buy something….anything. These folks do it for love, not money. Please support them. Look for a full interview coming up with ZouZou in the near future. We’ll talk about writing, and touring, and the new record. I can’t wait to sit down and chat.